Soldiers with the Georgia National Guard 876th Vertical EN Company take part in a departure ceremony Thursday in Toccoa, Ga., in preparation for the unit's upcoming deployment to Afghanistan. The deployment is the last to Afghanistan for the Georgia Army National Guard, as the military looks to withdrawal all but approximately 10,000 troops after 2014. 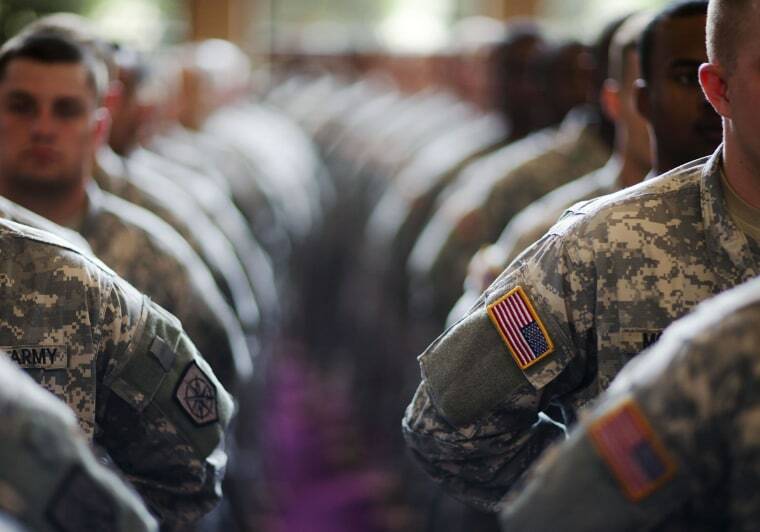 According to officials, the group from Toccoa will be deployed with nearly 150 guardsmen. Their work overseas will include repair, construction, plumbing and more.